When you reach adulthood, one of the first steps you should take is towards building credit. Credit, after all, is your gateway to a multitude of things. Anytime you need to sign up for a loan, buy a car, rent an apartment, or essentially complete other major financial purchases, your credit is often the first financial item looked at. It’s what tells lenders landlords whether or not you’re a reliable investment. Unfortunately, what many newly 18-year-olds learn quickly is just how difficult building credit can be sans a credit history. One of the easiest ways to build credit is through a credit card that you regularly pay off. However, without any former credit, you’ll find you don’t qualify for many credit cards. Ergo, leaving many young adults wondering what to do. It’s a little-known fact, however, that you don’t necessarily need to be 18 to begin building your credit. In fact, there’s many ways in which you can get started in your teenage years before you reach 18. To get you or your kids off to a great start with their credit history, consider these steps. When you’re under 18 the chances of receiving a credit card are slim to none; in fact, they’re more likely none. That said, there are still ways to utilize a credit card to build credit without having your own. Instead, see if one of your parents will allow you to become an authorized user on their card. As an authorized user you’re able to tag along onto the primary cardholder’s responsible and reputable credit. That said, if this is a route you choose to take, it’s important that there’s a level of trust between the primary cardholder and authorized user, as you’ll be connecting one another’s credit. While a job itself won’t actually build your credit, it is the key to building it later on. When applying for and trying to qualify for various lines of credit, especially credit cards, your job history can be one of the key components a bank or credit card company examines. Your job and the rate at which you’ve advanced can signify whether or not you’ll successfully keep up with your credit card payments. As long as you can do so and juggle school at the same time, getting a job in your early teens can help you begin a line of work history. Come time to apply for a credit card, and you’ll have successfully demonstrated your ability to repay debt by sustaining a job. Tip: Get a free credit score with Credit Sesame! Here’s how. Often times getting a start on your credit before you’re 18 can be a little too difficult. Moreover, you may not fully understand or be ready to handle the financial obligations of a credit card until you’re older. Unfortunately, finding a card at 18 that will qualify you, or even one without a high API for that matter, is easier said than done. Nonetheless, you have to begin building credit somehow. For the new to the credit card world, who have no choice but to build from scratch, a great option could be a secured credit card. Your secured card uses a security deposit to solidify your line of credit, so if you deposit $1,000, that essentially is your line of credit. Although you’ll still use a secured card like a normal credit card, it’s ultimately tied to actual cash. All in all, a secured card is much easier to qualify for and upon using a secured card responsibly, you may get an offer for an unsecured one in a matter of time. If you’ve ever been on a college campus during orientation week, you’ll see no shortage of booths and people trying to get you to sign up for things. One of those sign ups in particular is usually for a student credit card. Unlike other credit cards, student cards tend to be easier to qualify for with fewer requirements, no or lower fees, and sometimes, even rewards for good credit card use. Hence, if you’re headed for college and ready to get your start financially, a student card could be a smart and valuable option. No matter the age, the key to building credit is knowing, understanding, and practicing sound financial and credit card habits. Your credit is something that follows you for life. Unfortunately, once you obtain a poor credit score, it isn’t exactly easy to dig yourself out. Building credit and maintaining good credit isn’t easy. This is why once you’ve done so, you should work to keep it that way. Habits like paying your bills on time and paying in full each month will help you obtain a solid score. There’s no true hard and fast rules for the age you have to be before you can begin building your credit. And like your savings, the sooner you can start the better. That said, although it’s not always easy when you’re first getting started to receive a credit line, don’t necessarily wait until you’ve graduated college to start doing so. Gather good habits and gain work and financial experience in the early teen years. Sign up for student or secured cards to get your feet wet come your early twenties. Then, simply keep building from there. 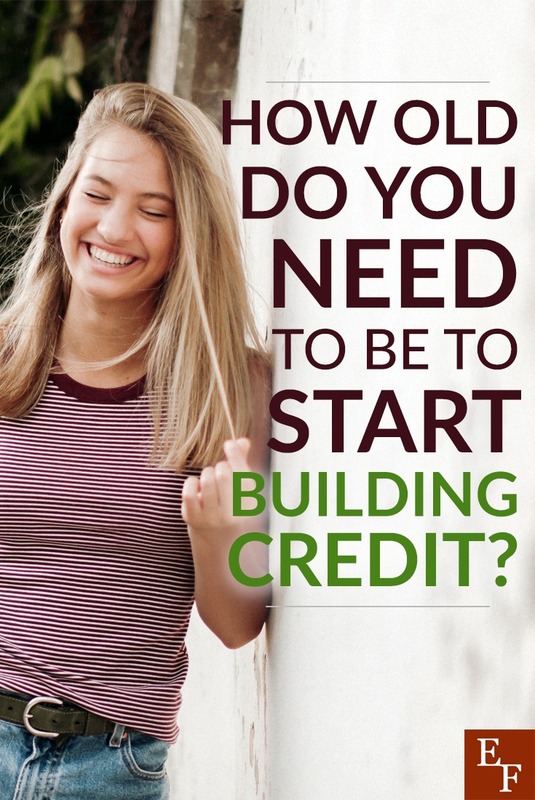 When you or your kids are ready and able to build credit, the decision is truly up to you. At the end of the day, once you’ve hit the age of 18, don’t hesitate to start your journey towards a solid credit score. What are some ways you could responsibly use a credit card to purchase things? What would be the benefits of a secured card versus a student card?